420 Ultimate Tours Presents "Dedication to Medication" Welcomes the Cannabis Community! Each and Every Friday. A Beautiful location that welcomes the AZ Cannabis Community! Finally we have a location in Which Patients can come together and be educated and also have some fun. 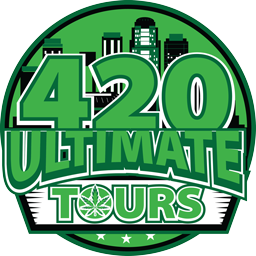 3 Acres of fun and the 420 Ultimate Tour Buses on site for Lounging. Sponsored Meds and Vendors on site. Enjoy the Facility with So much to Do. 2 Pool Tables, 6 Corn Hole Sets, 5 Sets of Jenga, Life Size Chest Board, Life Size Checkers, Ping Pong, Air Hockey, Live Dj, and Multiple Dance Floors.Come out and Celebrate this beautiful Medicine with us! Medical Marijuana Card Required to Enter the 420 Buses on Site. DONT HAVE A MMJ CARD WE CAN HELP YOU! CALL OR TEXT (602) 762-5302.